This was supposed to be a simple grab & deliver mission. But life has a way of throwing curveballs when you least expect it. Keera is a bounty hunter. When her last mission takes a wrong turn, she questions herself, her profession, and her future. But when the life of an innocent child is on the line, her moral compass kicks in, and she’ll do everything she can to save this child. 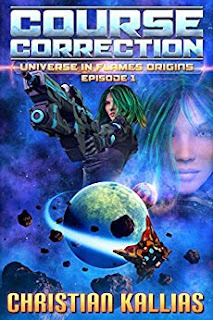 Can Keera reconcile her doubts about the course her life has taken, or will this mission be her last?